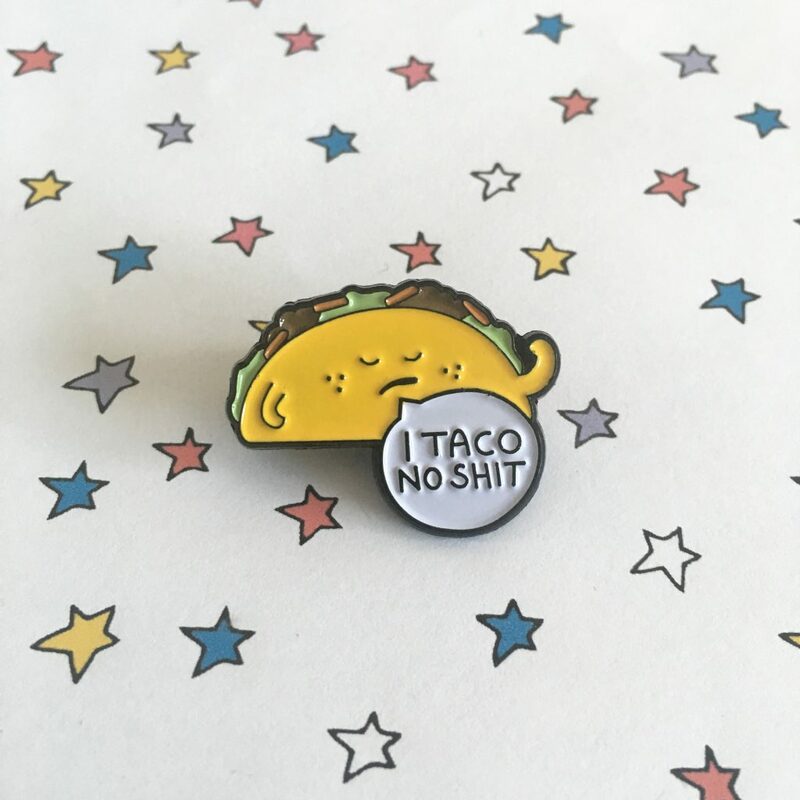 Your pin badge collection just got sassier with this taco enamel pin badge! Just added to my Etsy store, it’s on launch offer until 21st November. This sassy taco pin badge had humble beginnings. I originally came up with the idea when drawing a quick ‘street food’ illustration for my weekly Punday. I’ve evolved the illustration to make it more pin/necklace/design friendly, but the same sass is still there. I am a massive taco fan, so I was delighted to draw a fun taco. 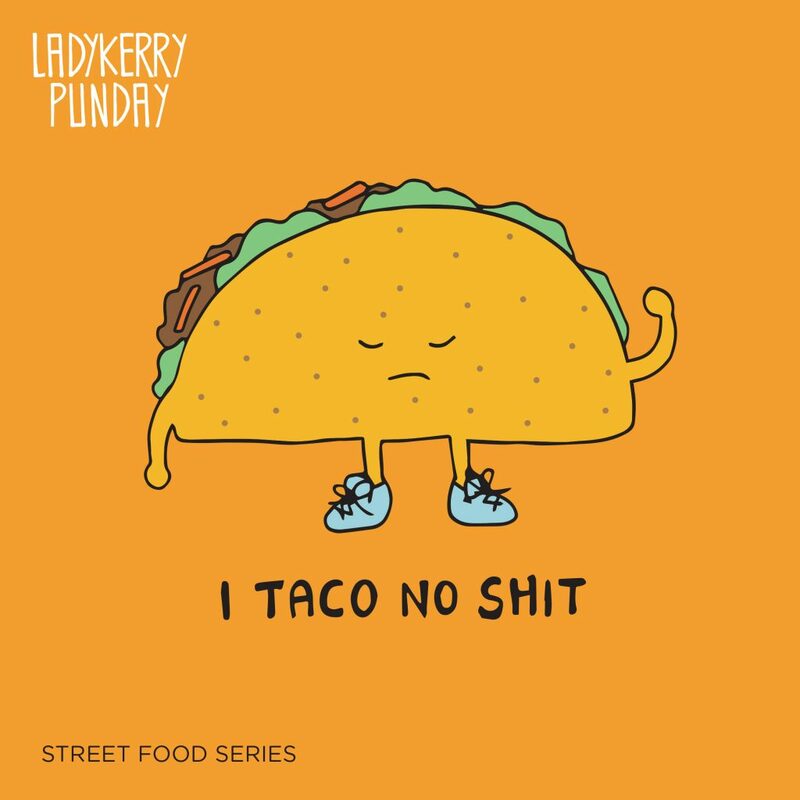 The original street food version I drew got a great response, so I knew I wasn’t alone in my taco adoration! Immediately, I knew I just had to get it made as an enamel pin badge. I’ve kept it under wraps since then, as it’s a long wait to get pin badges made. But finally, they have arrived and I am so excited to share these fun food pins with you all! Obviously, I have a soft spot for all my designs. But there’s something super special about this taco design – especially in taco pin badge form! Is it the freckles? Is it that facial expression? Or is it that solitary waving arm, showing the world that this taco is ready! Pin badges are at their best when they give you a little extra encouragement, positivity or just give you a giggle. I think this taco pin badge nails all three. It’s perfect for wearing on days you feel SASSY! But it’s also perfect for wearing on days you feel a bit overwhelmed by the world, and want a little extra taco encouragement! It also makes an absolutely perfect gift for friends, especially if they are a taco lover. 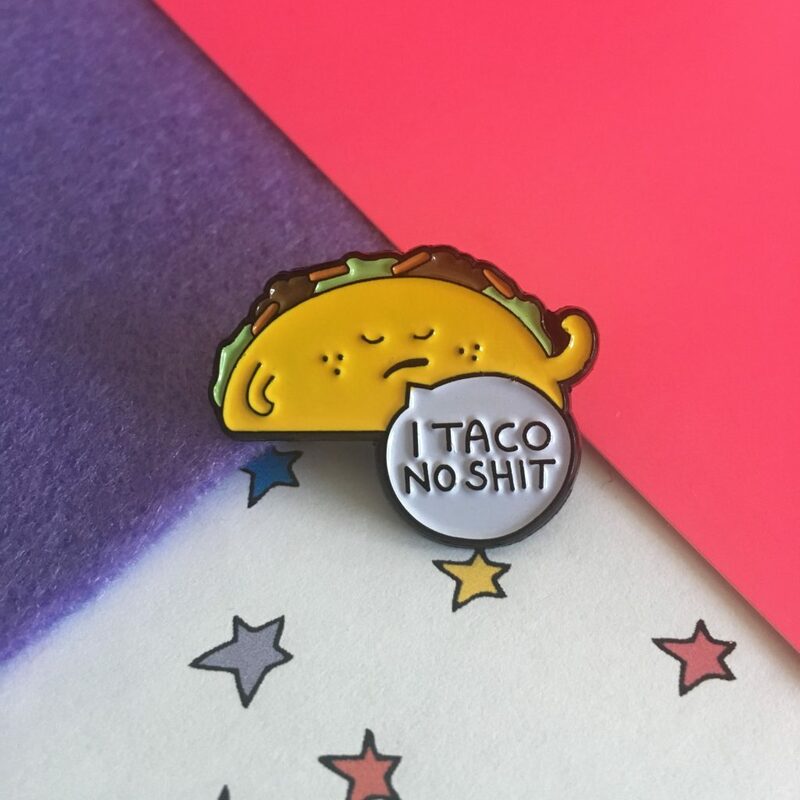 This awesome taco pin badge would make a great addition to your pin collection – or a perfect sassy Christmas gift. Grab one before the launch offer ends!